Hohmeier Auto Body is a full service auto body repair and collision repair shop serving the greater St. Louis area. As a family owned business for nearly 100 years in the body shop business, we know what it takes to get your vehicle fully repaired after a major or minor accident. For all makes and models of vehicles, Hohmeier Auto Body is the place to bring your vehicle for certified and professional bumper repair, frame and unibody repair, paintless dent removal, windshield repair and replacement, scratch and dent repair, or paint services, and much more. No one likes to see their car ruined after a crash, but that's just what we're here for. As a full-service auto repair shop, we are to your car what your doctor is to you. From minor dents and scratches to crumpled front ends, we are here to get your car back on the road again as soon as possible. What's important to note is that after an accident, your instinct might be to simply bring your vehicle to a mechanic. However, after any accident, minor or major, you should bring your vehicle to an auto body repair specialist. We can inspect your vehicle for both body damage and mechanical damage and get your vehicle fully repaired without the need for you to take your car to multiple places. Once you've determined that your car could use the help of an auto body specialist, give us a call and we'll schedule an appointment for you to come in. 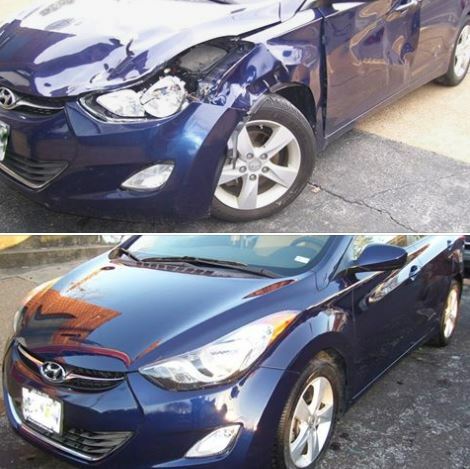 The services we offer include body repair, repairs for collisions, bumper replacement and repair, repairs for scratches and dents, frame and unibody repair, hail dent repair, and vehicle paint repair. One thing almost all our customers ask is whether we work with insurance companies. Almost all auto collision accidents involve an insurance claim of some shape or form. We've worked with nearly all major and minor personal and commercial insurance companies and as part of our auto collision repair services will gladly work with your insurance company as much as we can to make repairs as easy and stress-free as possible. For over 90 years, we've proudly served the residents of the greater St. Louis area with top-notch body shop repair services. We're equipped with some of the latest equipment and technology to provide you with the best possible repair work around. We look forward to the opportunity to work on your vehicle today. We are so grateful for such wonderful experiences at Hohmeier when we’ve needed body work. They do high quality work in a timely, efficient manner and with high ethical standards. The experienced staff at Hohmeier have done top quality work each time we have needed them and we recommend them highly! Body repair involves fixing any part of your vehicle. This includes removing dents and scratches, as well as replacing damaged parts and re-painting areas where the paint has worn off. In nearly all vehicle accidents, automobile body repair is required. Sometimes the repairs are minor and we can have your vehicle repaired in a day or less. Other times fixing your vehicle takes longer because the damage is significantly worse. Whether you've been involved in a major or minor accident, our certified technicians can repair your vehicle to like new condition. Call us today for a free estimate! Collision repairs are similar to body repairs, with collision repairs generally being a more challenging and time consuming repair. However, because our vehicle collision repair services are performed by skilled technicians who are specially trained to work on cars involved in a collision-type accident, we know what it will take to repair your vehicle. Some technicians perform only exterior repair services, but others can fix the internal components of your vehicle as well. Repairs for your damaged bumper is another service we offer. Regardless of whether you're involved in a frontal collision or hit from behind, your bumper is likely to bear the brunt of the impact. We've fixed hundreds of vehicles with bumper damage and we'll know what it takes to fix yours. 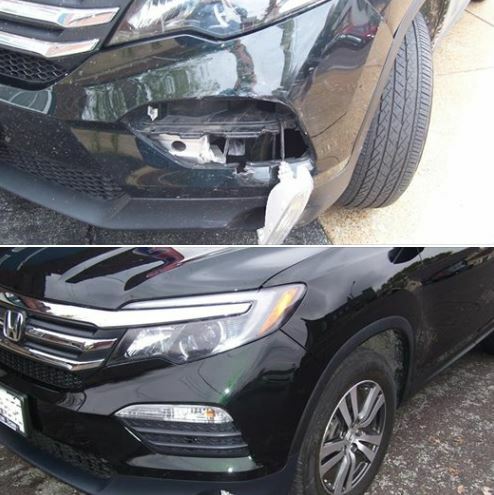 If you've been in a fender bender or other type of accident causing damage to your front or rear bumper, at times there can be considerable structural and aesthetic damage as a result. When you bring your vehicle into our shop, our technicians will carefully inspect your bumpers to ensure your car leaves looking and working as good as it did before. If you're wondering what the price will be to fix a bumper dent, we can inspect your vehicle and give you a free estimate of the cost. I have used Hohmeier Auto Body a few times and I have nothing but great things to say about them! Bob is honest and a professional at what he does. I would only use them in the future. Stellar work and amazing service!!! Even if you're lucky enough to only be in a minor accident, your car can still get beat up and no longer look great. 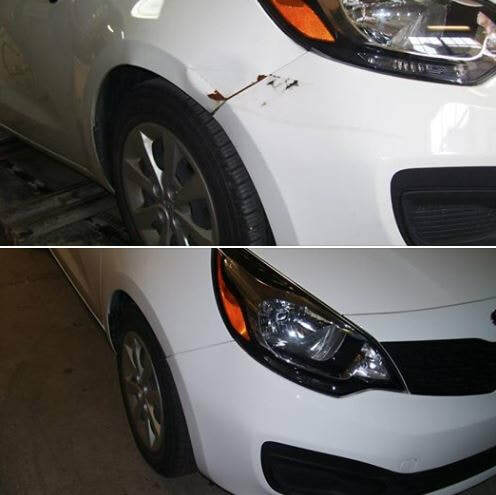 For aesthetic issues, car scratch repair is one of the many services we offer. Our technicians can buff out scratches and fix automobile dents that affect any portion of your vehicle. In some circumstances, we can repair the damage to your vehicle without needing to replace parts. For an inexpensive price, we can apply car touch up paint. However, if the damage is severe enough, we will remove the panels of your vehicle and replace them with factory replacements. Even if your car looks okay after an accident, there may still be underlying structural damage that you are unable to see. 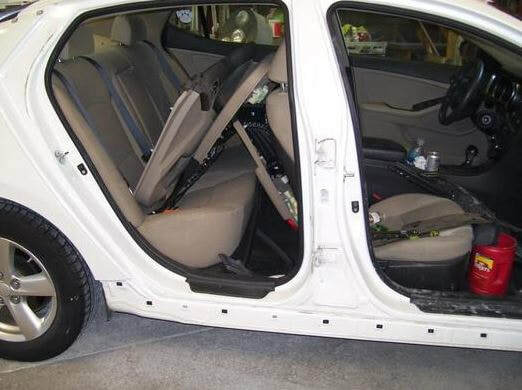 One area that can be affected is the unibody or frame. If you are involved in a crash at speeds as low as 25 MPH, the force of the impact can be enough to cause damage. This can be a serious problem, as the frame and unibody help to support the chassis and generally keep the car's frame intact. Newer cars (primarily made in 2005 and later) have unibodies, while older vehicles generally have frames. Our technicians know how to straighten a car frame and how to fix a damaged unibody, and they can get your car the care it needs. For a free bent frame repair cost estimate, give us a call or stop by our body shop today. In addition to accidents, we provide restoration services to vehicles that have been damaged in severe hail storms. 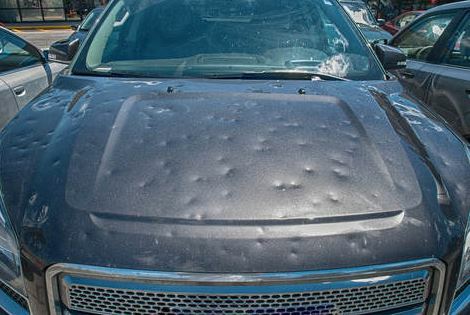 If your car has suffered hail damage from a strong storm, bring it to us for hail damage repair. 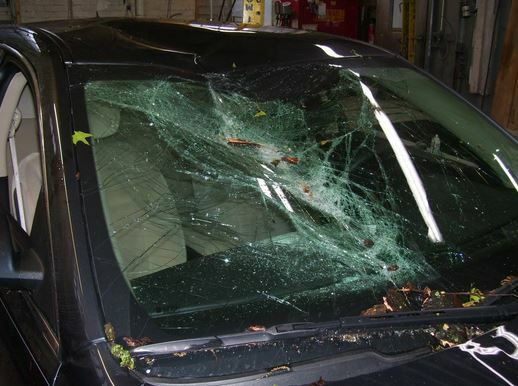 Damage from hail can range in severity from a cracked windshield to a dented roof. If your car has been left out during a hailstorm, it's always a good idea to bring it in for an evaluation. Many times hail damage is covered under your insurance policy and you'll only need to pay your deductible to have your vehicle repaired. If needed, we can also apply a fresh coat of touch up paint to eliminate any areas where the paint has been chipped or torn off. 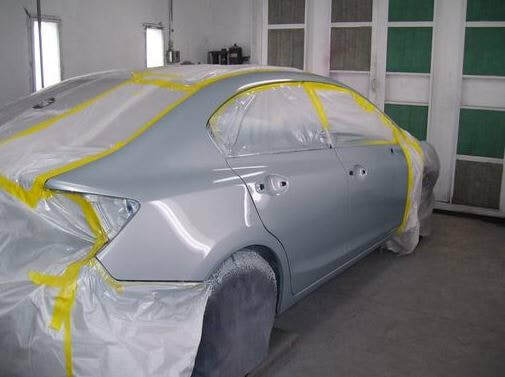 In addition to making your vehicle look better, adding a protective layer of paint to your vehicle's exterior will prevent patches of rust from developing, which can cause more significant problems down the road. From scratches and scrapes, to rust spots and more substantial damage, you can bring your car in to us for auto paint repair. We know exactly how to fix deep scratches on your car, truck, or SUV. It takes a specialist's attention to detail and artistic skill to perfectly match an existing paint color with a new one and we have the expertise to offer that service. You can bring your vehicle to Hohmeier Auto Body for all your auto body repair needs in the St. Louis area. Our hundreds of satisfied customers and our many 5-star reviews on facebook, yelp, and google, all attest that you can trust that we know what it takes to have your vehicle repaired regardless of what caused the damage and how much damage you have. With experience working on thousands of vehicles and training with the latest equipment, we have the tools available to get your vehicle restored back to pre-collision condition. Call our St Louis body shop today! 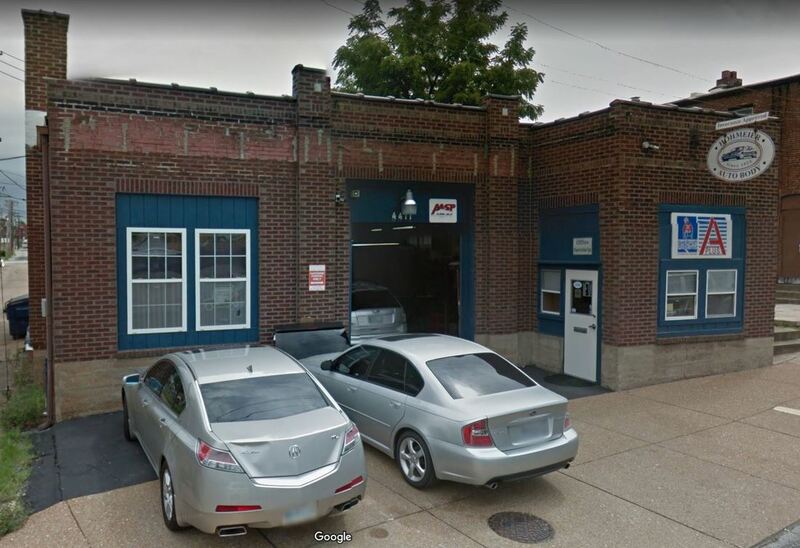 The best auto body repair shop in St. Louis! I don't give that title out lightly. I did my homework and went to 5 places to obtain quotes. While Hohmeier wasn't the cheapest, they also weren't the most expensive. Bob not only gave me a very fair and reasonable quote, he took the time to explain the work he would need to do and the parts that would be needed to repair my vehicle. I like that! He was patient, kind, professional, trustworthy, and timely! He values the customer as much as he values his repairs.